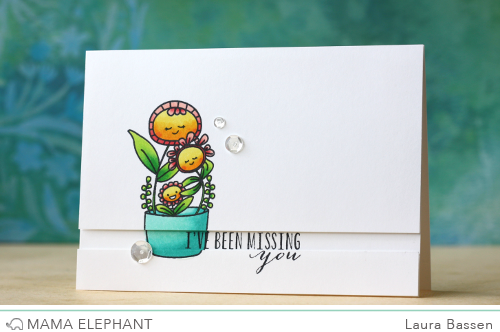 Lets sit back and enjoy day 4 of Stamp Highlights with Potted Pretties! How pretty are these?! 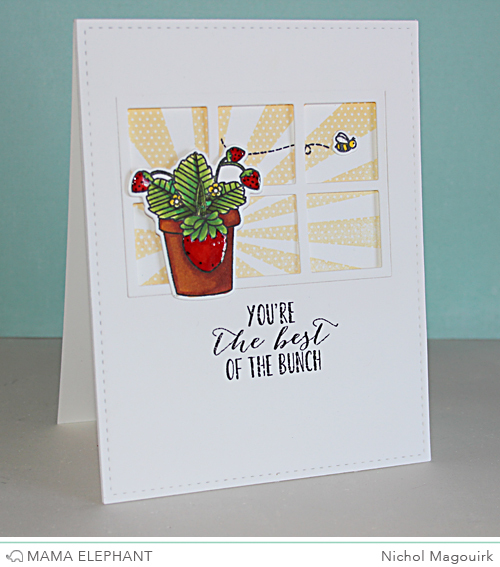 Elena used her favorite image from Potted Pretties to create a new baby card. The coloring really pops when backed with the white circle dies! 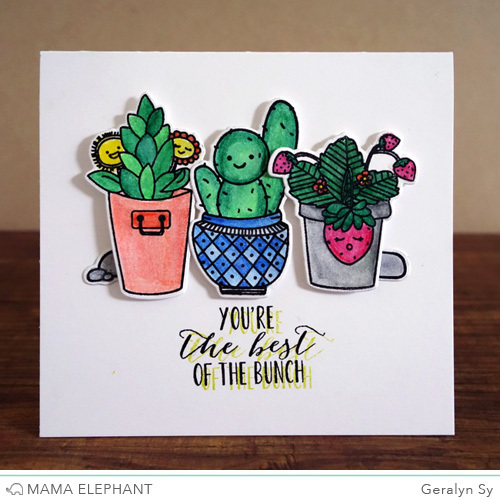 Geralyn colored the adorable potted plants with watercolor pencil crayons, and then she double stamped the sentiment - offsetting the sentiment with light green ink - for an extra pop of color. How fun! 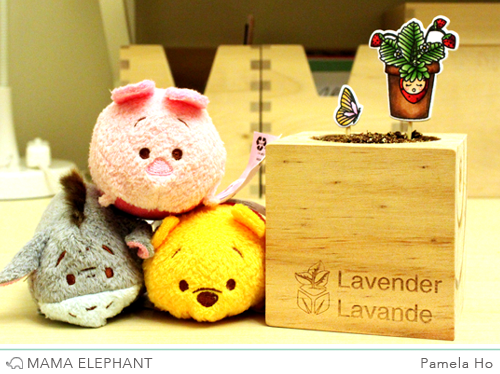 Pamela decorated her lavender plant using the strawberry plant and butterfly stamp set from Potted Pretties. These stamps make adorable decorations for real plants! Nichol paired the Potted Pretties with the window die from the Peek A Frames Creative Cuts and the sun from the My Sunshine Stamp Set to create a lovely scene. Another adorable potted pretty! We love the way Laura cropped & popped her sentiment. Love these. The faces are so sweet. Beautiful as always .. I adore strawberries ... It means that I must have this set!!! Really cute cards and I love Pamela's project! This is such a fun stamp set!